Pivotal Pilates started with an idea to create a space where women and men can come and feel focused on what they needed to recover, renew, restore, invigorate and create the kind of body that would be fit for life. We aren’t just focused on what looks good, although we do that too! It is our intention to give you authentic fitness, so you may enjoy your body and that it works for you, hopefully the rest of your life. Fitness is a lifestyle, not a “diet”. We need to find something we love to do and put in into our lives on a regular basis. Leaner and longer muscles giving you more of a swimmers physique. At Pivotal Pilates Fitness and Wellness we look to meet student/client with an abundance of knowledge and information to help them reach their fitness goals. We don’t follow one Pilates method but several variations depending on what the client needs. If you are new to Pilates we will walk you through your options. Come on in and BEGIN! Our staff are uniquely trained to watch for ways we can improve your posture, core connections and muscle recruitment patterns. Small group equipment and floor classes means we can see how you move so we can gently add corrections for your safety and the quality of your movement. We work hard to find that Archimedean point of leverage (or Pivotal point) to launch a unique program tailored to your needs. We take a holistic view of our clients needs by creating an ambiance of relaxation and a zen-like energy throughout the studio to help improve concentration and a greater quality experience. All fitness levels are welcome. What is Pilates? What can it do for you? Pilates is an exercise method that integrates breath and core connections throughout all muscle groups. Postural health is paramount as is spinal support, alignment and pain free joints. The choreography is designed to keep a pace and develop muscle endurance and great breath patterns. Offer Sport specific and special condition programming. 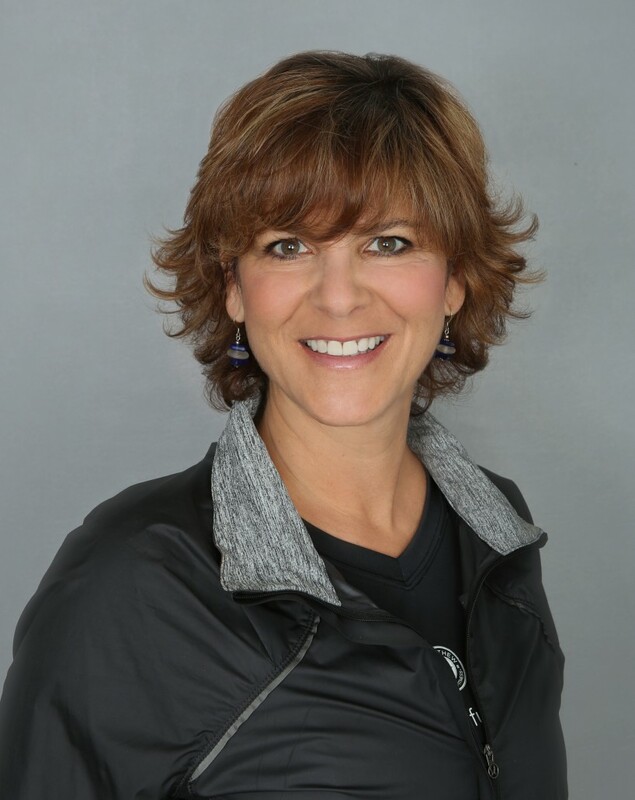 Susan Markowitz, founder and director of Pivotal Pilates Fitness and Wellness. Since achieving her full Pilates certification 2004 through Pilates International in NYC, she went on to complete 3 other International Pilates certifications giving her 4 different methods of teaching Pilates. Her goal has been to incorporate a multitude of modalities to offer her clients an integrated experience of wellness and fitness. Susan has been teaching under the supervision of DPT’s, and other medical professionals to perfect her programming techniques for rehabilitation and strength training. 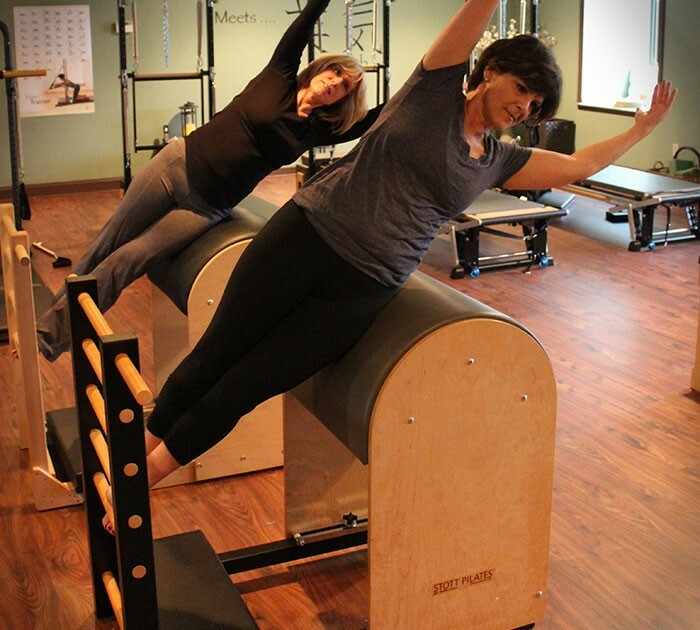 Specializing in Pre/postnatal Pilates, joint and spine injuries and others special conditions, Susan’s focus continues to be rehabilitation and strength training and the recruitment of the deeper, local stabilizing muscles of the core and spine. Pivotal Pilates opened its doors in September 2010. Nicole Vinciguerra has been with Pivotal for 8 years now and we feel so lucky to have her, Let Nicole help you build your body and have fun doing it. She is motivating and encouraging. Come try a session with her! 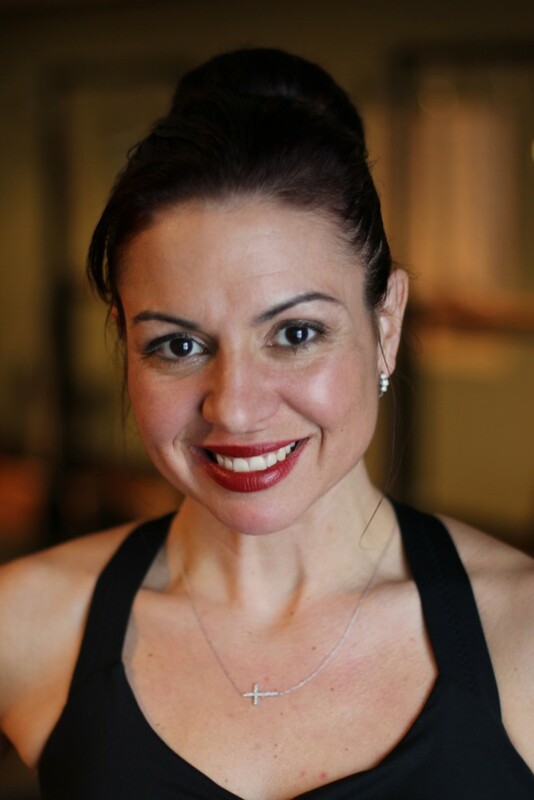 Nicole is a fully certified Pilates Instructor through The Kane School and a certified Pivotal Barre Instructor. After many years as a group fitness instructor, it was Nicole’s love of dance, anatomy and movement of the body that brought her to the world of Pilates. It is through Nicole’s strong background in dance instruction and choreography that she is able to offer vigorous yet safe effective workouts for her clients. She also promises to make you laugh and never be bored. Her other certifications include; AFAA Group Fitness, Les Mills, Zumba, Beach body PiYO and is the Master trainer for Boogie Box Fitness, North-East division. 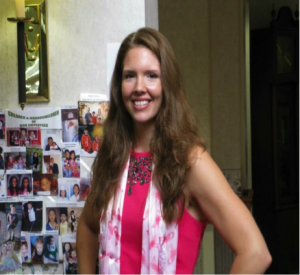 Jennifer Guarino has been in the fitness industry for over ten years. She is certified in Peak Pilates Mat and Reformer Level 1 and Level 2. She is also a certified fitness instructor through the Aerobics and Fitness Association of America, with CPR/AED certification from the American Red Cross. Additionally, she has earned her certifications in TRX suspension training, chair chi, body pump, body combat, body attack, les mills grit, Zumba, kickboxing, and pound. Jen also holds a certification as an activity director and dementia practitioner, a skill set that greatly facilitates fitness for the senior client. 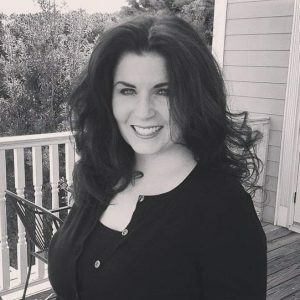 Jennifer earned her Bachelor of Arts degree in psychology and gerontology from Stockton University, and her personal training certification from the World Instructor Training Schools. She has extensive experience in senior fitness and functionality after working with seniors for over ten years. Jennifer also empathizes with the overweight population because she was once overweight. Through a balanced diet and regular exercise, she lost over 60 pounds and continues to maintain a healthy weight many years later. Come join Jennifer in her new group reformer classes; Group Reformer, Pound! & Pilates Mat. Nancy Elkes– Nancy has been teaching Yoga and Pilates for 19 years. 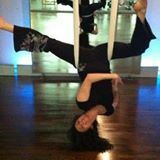 She is a fully certified Pilates instructor through PAI in NYC. Her Yoga certification include Hatha Yoga and an advanced Super Sequencing and Muscularity training through Lotus Flower. Nancy is also certified to teach TRX, Vinyassa and Hot Pilates. She has worked as a senior instructor for Crunch Gym NYC, where she has helped designed Group Fitness Classes. She also has a strong Private Pilates clientele in NYC. She is very excited to begin her professional practice here in New Jersey with Pivotal Pilates. 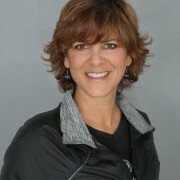 Kelly Concar- Kelly has a Comprehensive Certification for Level 1 from Peak Pilates. She teaches both private and group classes on all Pilates apparatus, with a personal interest in special populations.Kelly’s training includes programs from Carolyne Anthony’s Women’s Health & Exercise Certification such as Pre and Postnatal Pilates Specialist and The Center Method for Diastasis Recti Recovery™, a rehabilitative program for the separation of the rectus abdominus muscles, that utilizes breathwork, pelvic floor exercises and myofascial release.Kelly is a Specialist for Pilates based education for Neurological Conditions. Training encompasses Multiple Sclerosis, Parkinson’s and stroke disease processes in depth, as well as issues common to many neurological diseases, including balance difficulties, weakness, muscle spasticity and rigidity, bladder problems, and gait abnormalities. She is a mentee of Meghann Koppele, Founder of The Koppele Method and Co-Founder of The NeuroRehab Movement. Kelly completed training for Cancer and Autoimmune Conditions & Exercise from Body Organics in Australia to better understand the impact of cancers, different treatments and the effects on the body, both throughout the treatment and afterwards.